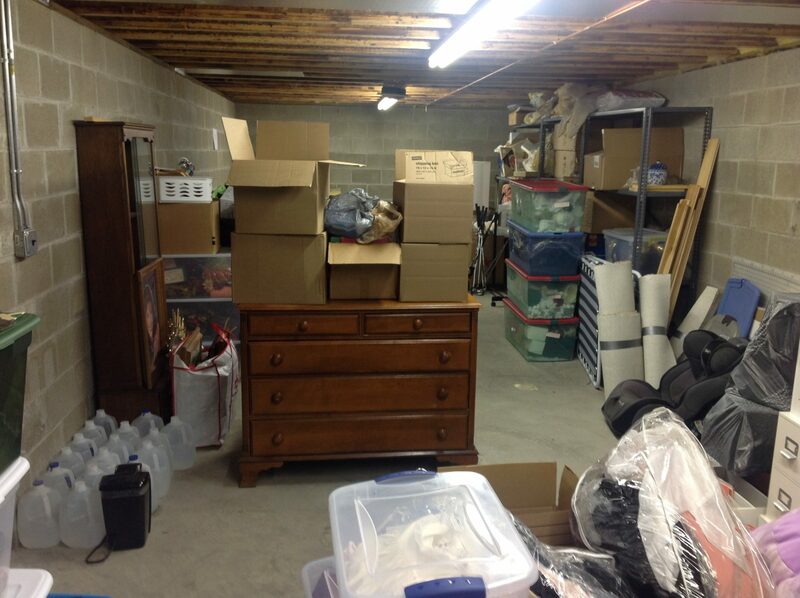 Please browse the “Before & After” gallery which might help give you some ideas on what might be possible in your home with our professional Moving and organizing services. Click on each photo to see them larger. 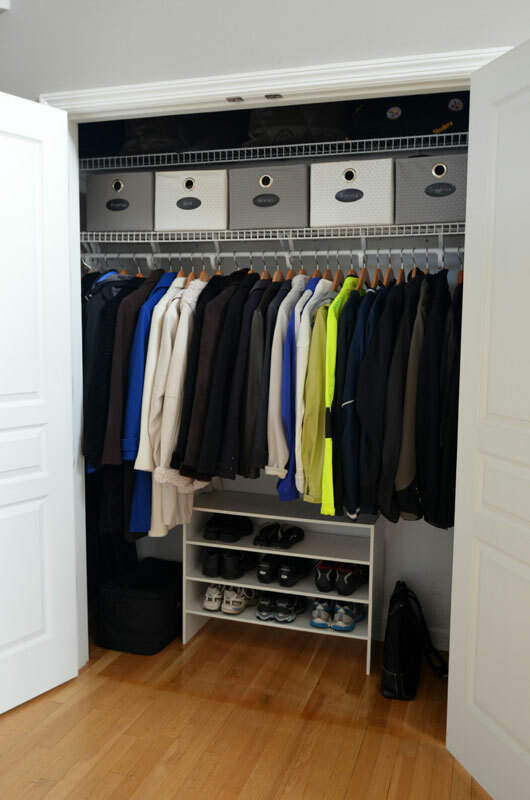 for a simpler, cleaner and more organized space. 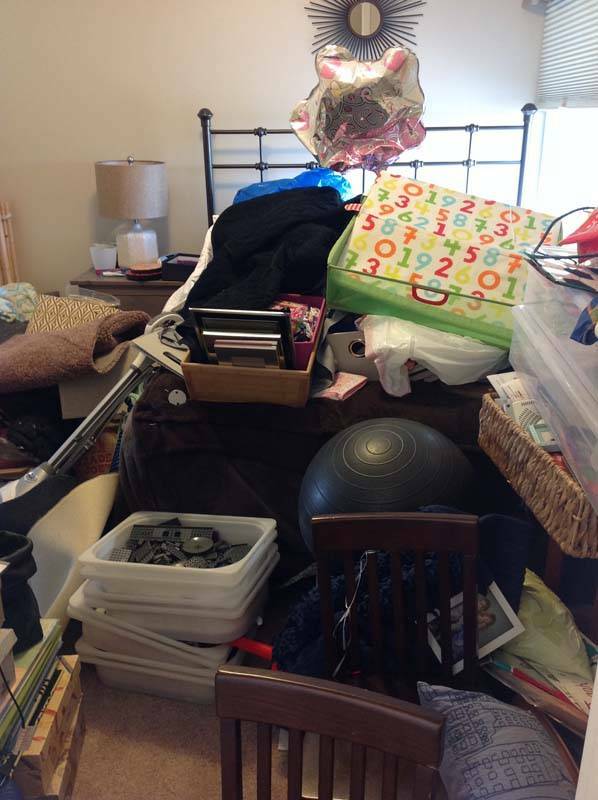 until we turned it into a relaxing bedroom for guests. 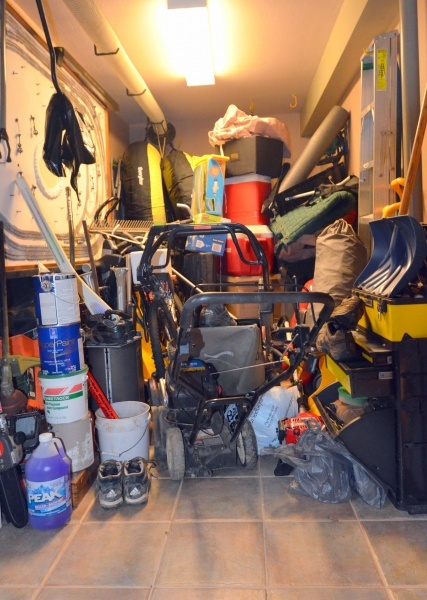 were sorted and organized for quick and easy retrieval. 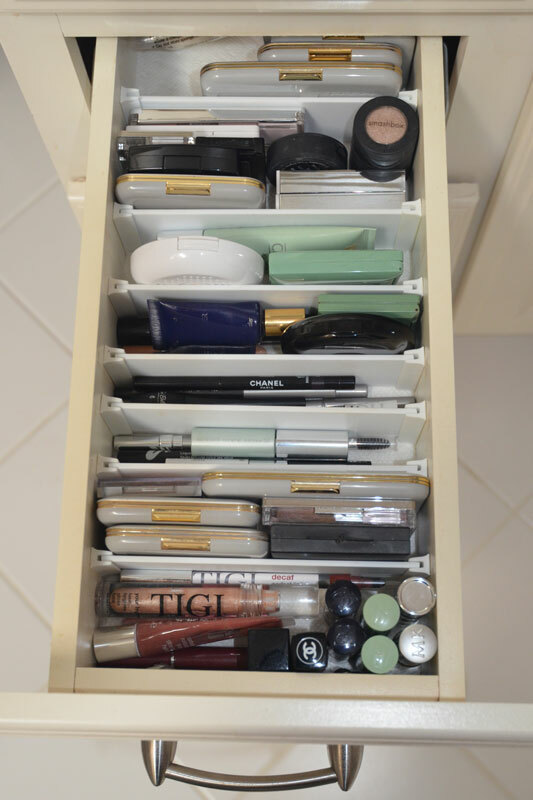 Custom-fit drawer dividers were added to create separate spaces for lip colors, eye colors, eyeliners, mascaras, blushes, foundations, concealers, etc., which saves so much time when trying to find a particular item. 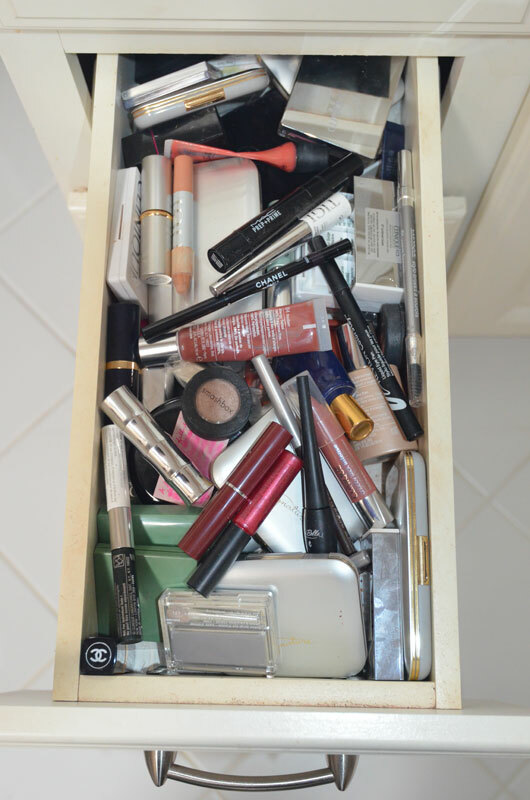 Each group of items was also placed in the order in which the client applies them, which makes applying makeup every morning quick, easy and stress-free! 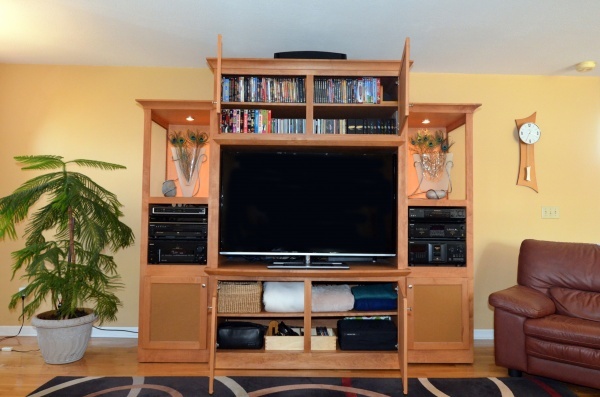 An entertainment center was overhauled to make room for all of the necessary items in this busy family room. 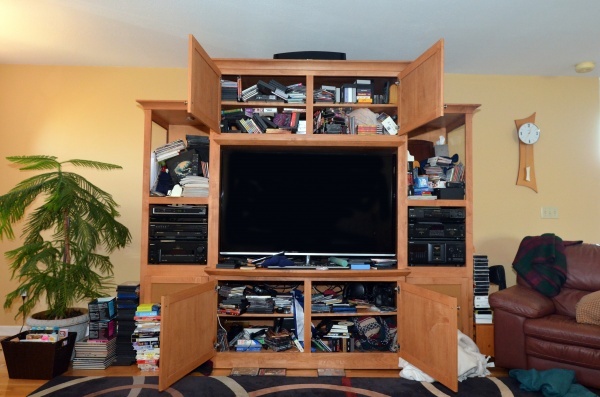 Many outdated magazines, videos and games were recycled, donated or sold which made room for all of the remaining items. 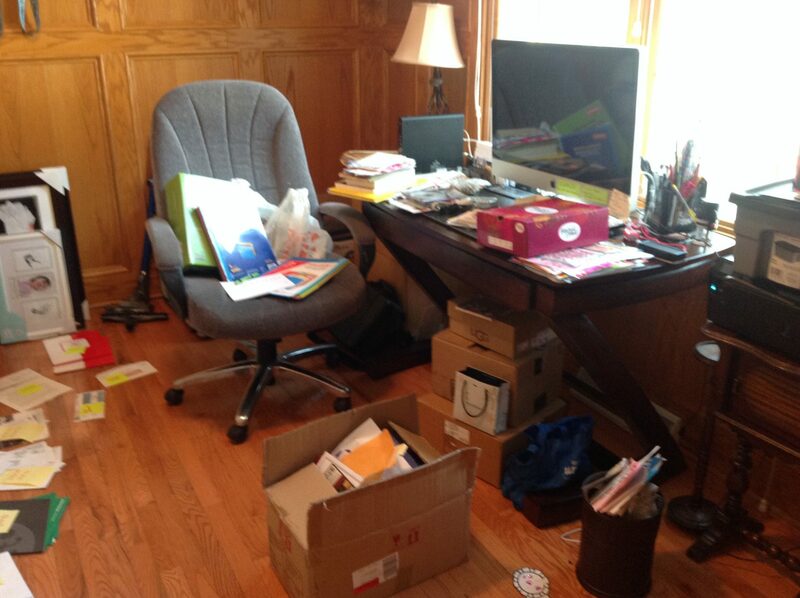 CD’s and DVD’s were arranged in alphabetical order so they can be found quickly and easily. 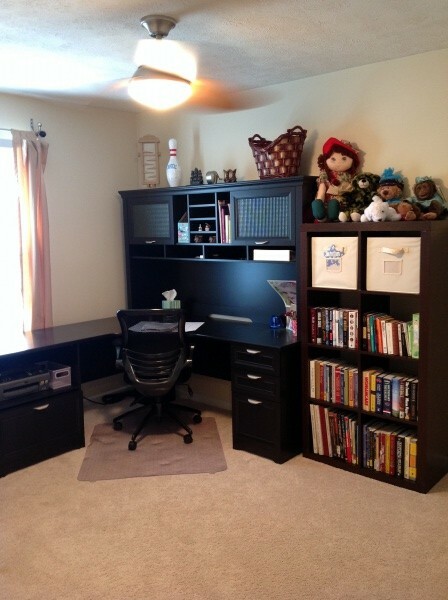 This homeowner moved into a new home and 9 months later still hadn’t unpacked and set up their home office. 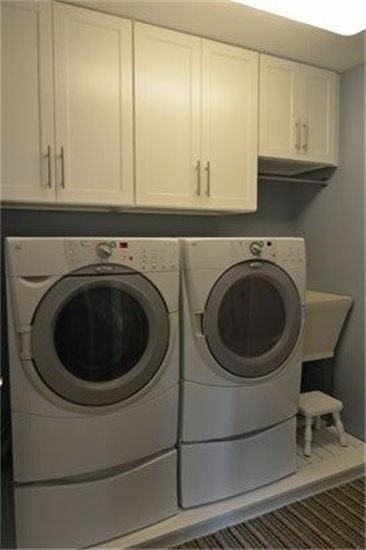 The furniture was rearranged to maximize functionality and everything was unpacked and located for convenience and ease of accessibility. 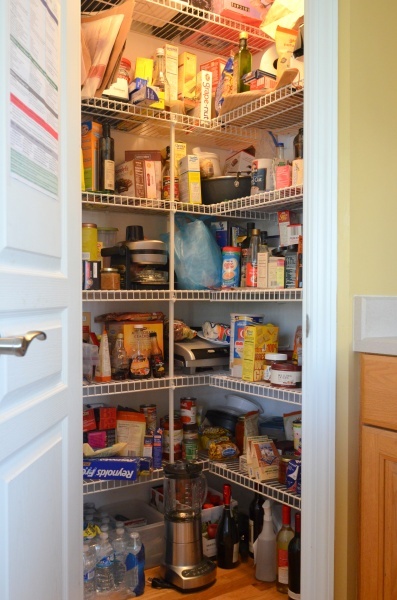 Modular containers were used to store all of the staples in this pantry. 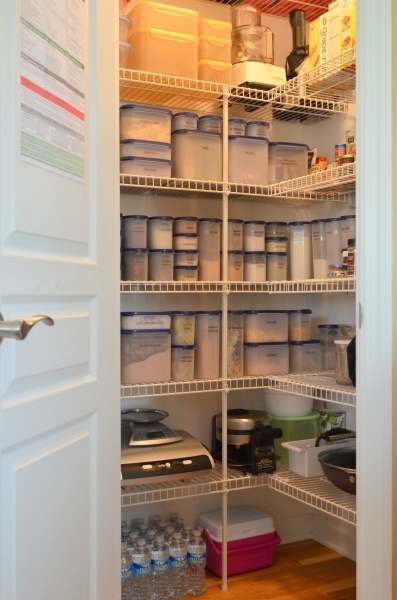 Grouping ‘like’ items and labeling all the containers makes it easy to find everything and creates a clean, unified look. 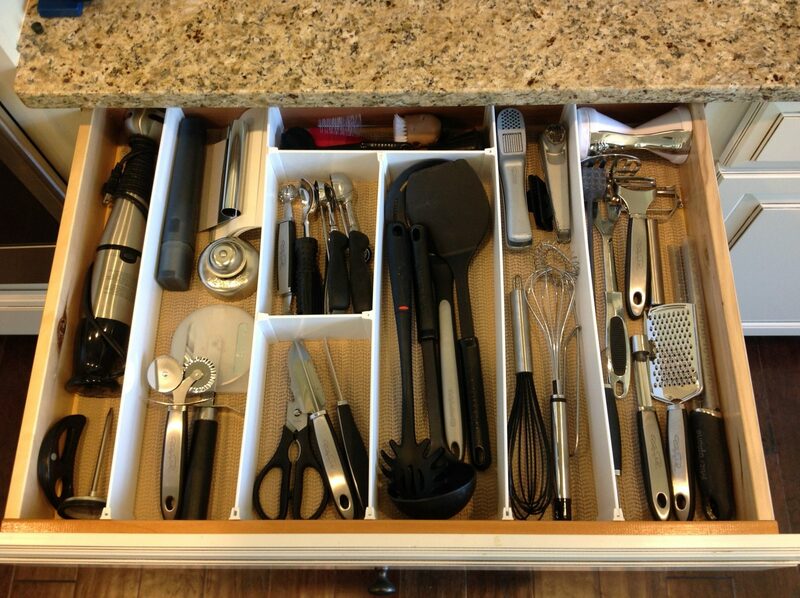 Custom drawer dividers were added to contain specific cooking utensils in a kitchen drawer so that everything has a place. 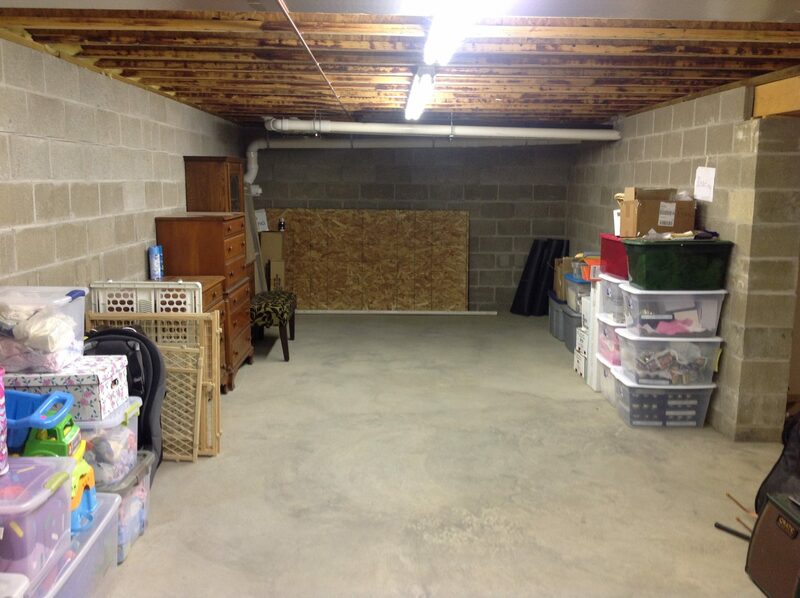 This storage area was a catch-all for seasonal items. 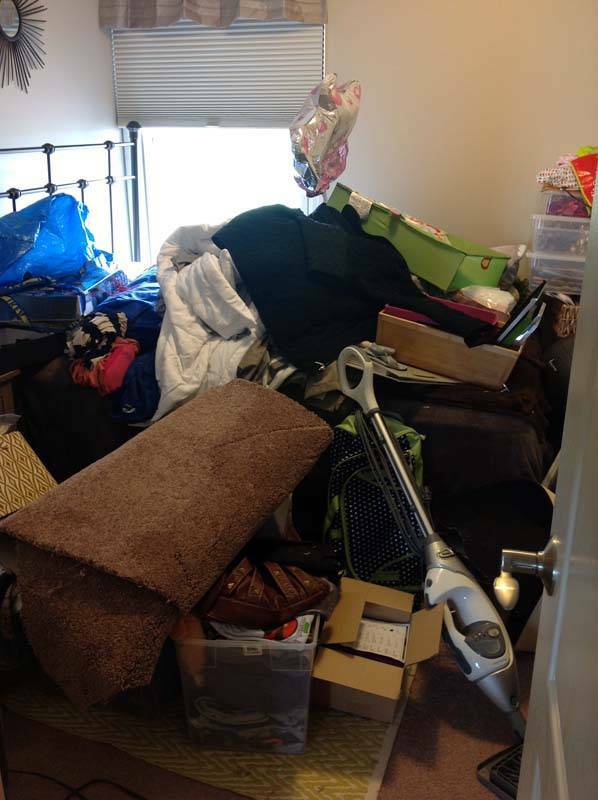 Once the items were sorted, the homeowner realized there were a lot of items that could either be disposed of, donated or relocated to a more appropriate place in the home. 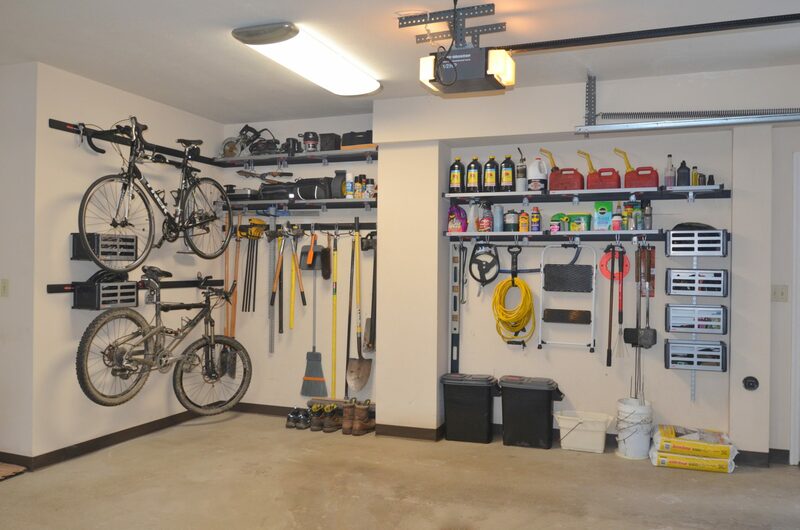 A wall track system was then installed to hang tools, a bike and other seasonal household items. 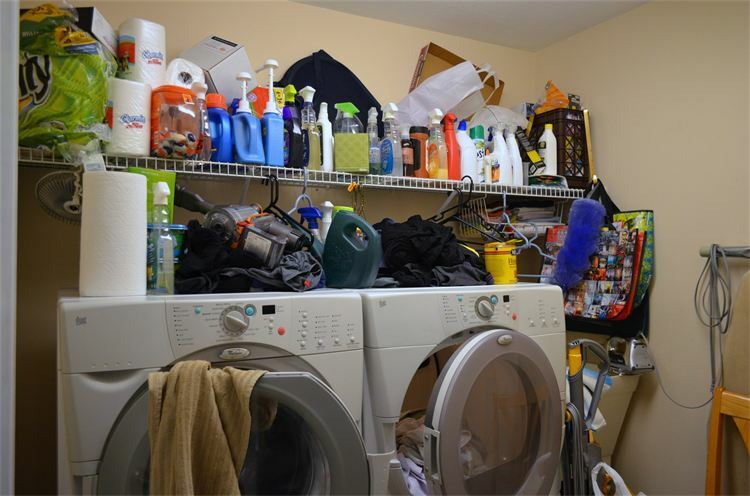 Now the area is clean and organized in a way that makes everything visible and easily accessible. 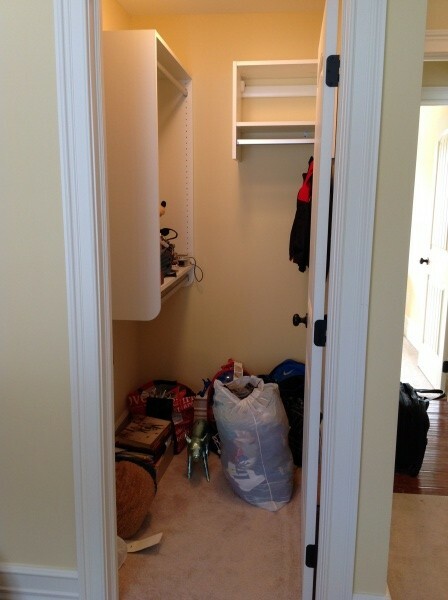 This closet transformation started with donating all items that were no longer needed. Then we sorted everything and grouped ‘like items’ together. 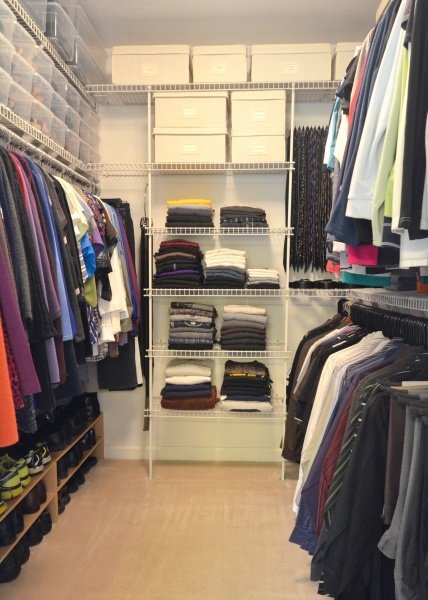 All clothes were hung on the same slim-line hangers. 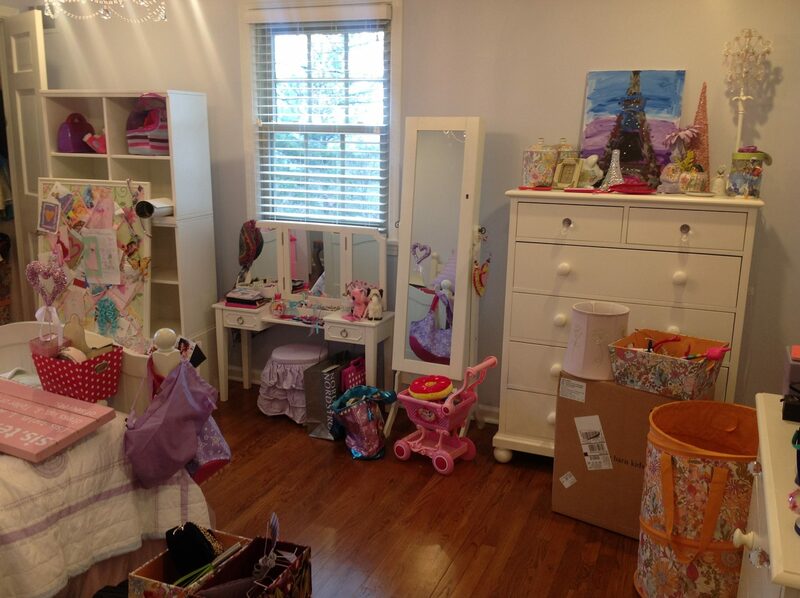 Her shoes were placed in clear plastic shoe boxes on the top left. 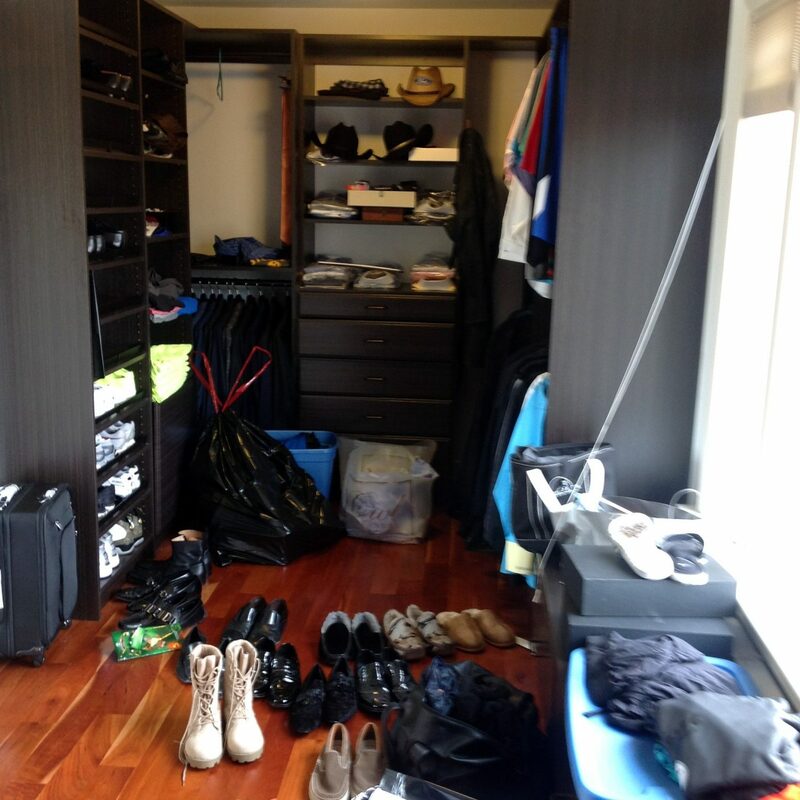 His shoes were placed on shoe racks on the bottom left. Canvas bins with labels on each were added on upper shelves for items that were used less often. 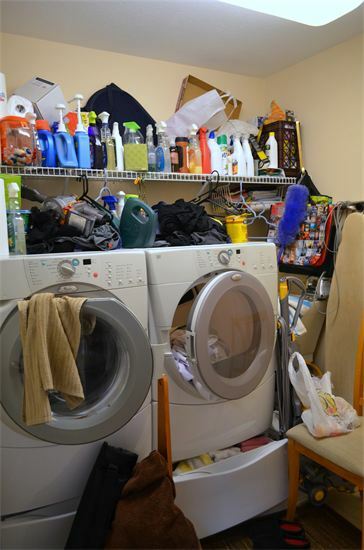 Items that were used regularly were neatly folded and placed within easy reach. 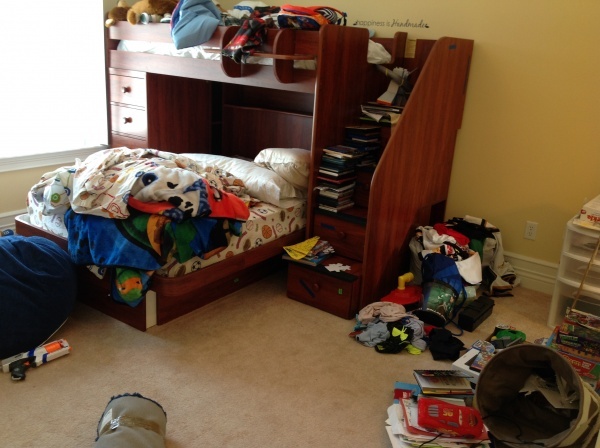 A young boys room was organized in a way that makes it easy to find, see and access all of his clothes, schoolwork, books, toys and games. 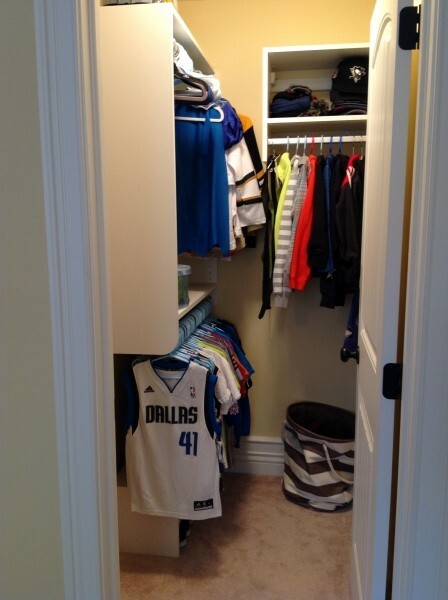 Clothes and shoes were also neatly arranged in the closet where the young boy could reach all of his most used items by himself. 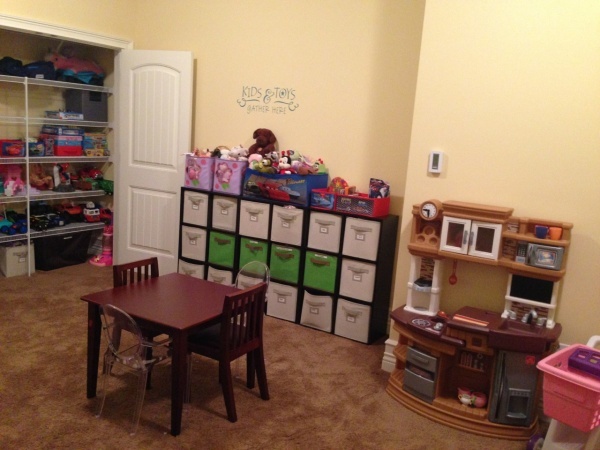 This playroom incorporates lots of bins so everything has a place and every bin is labeled with its contents. 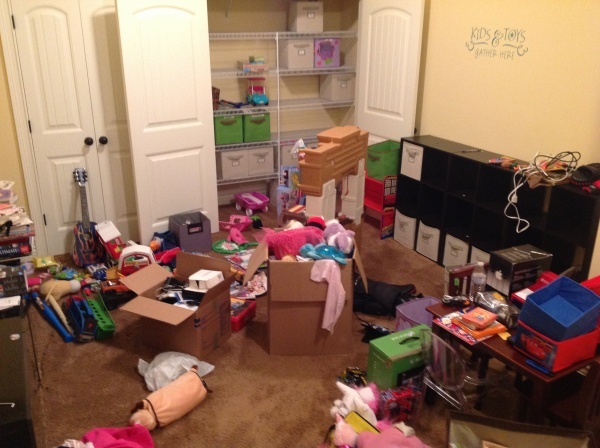 Larger toys, puzzles and games are neatly grouped and stacked in the closet and books were neatly arranged on a nearby bookcase. 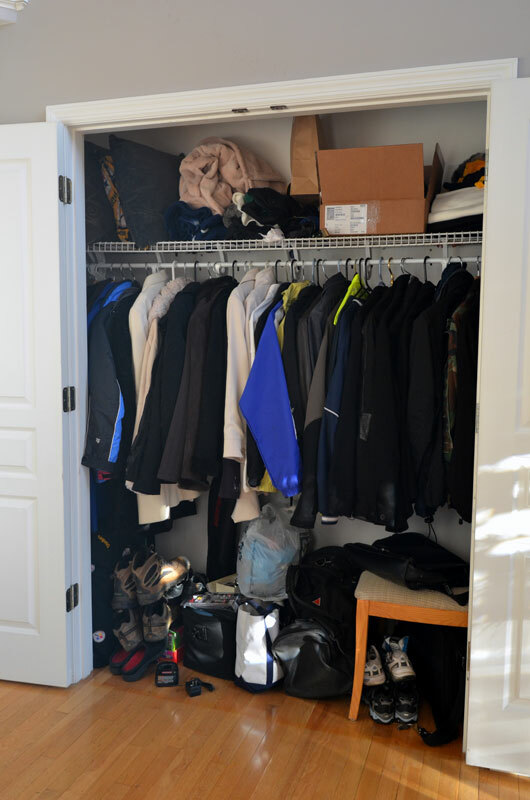 Everything in this closet area was sorted and grouped for easy access. 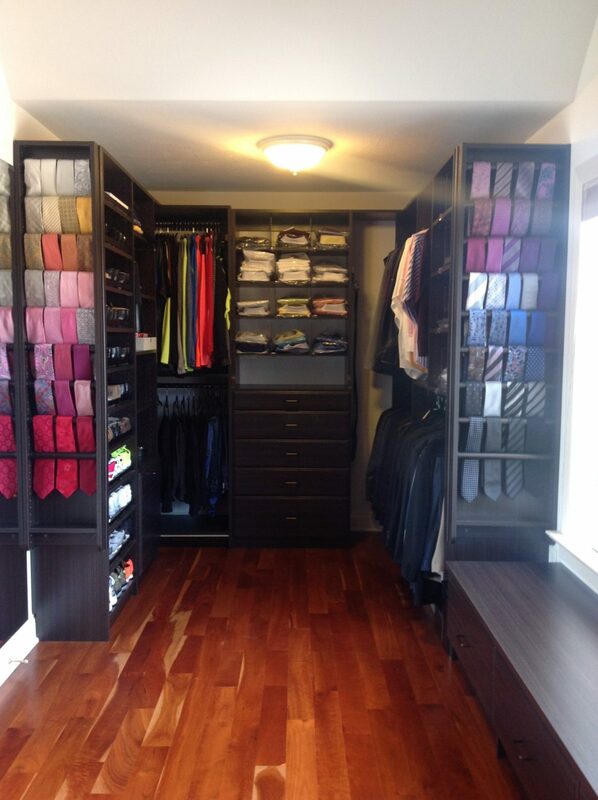 The current tie slide-outs were difficult to see and access, so custom tie racks were added on each end to match the current closet system and finish. 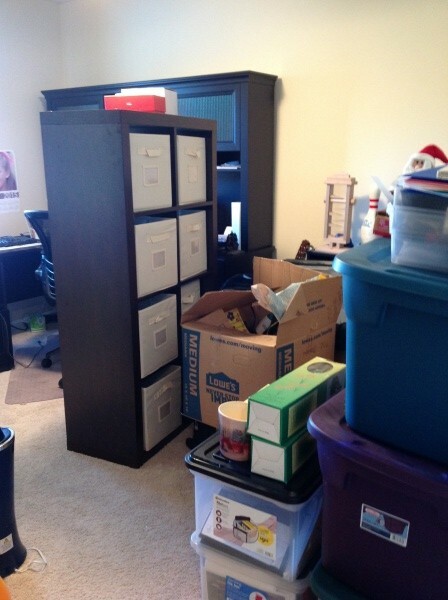 In this home office project, we set up a filing system and got everything filed and organized for easy retrieval. 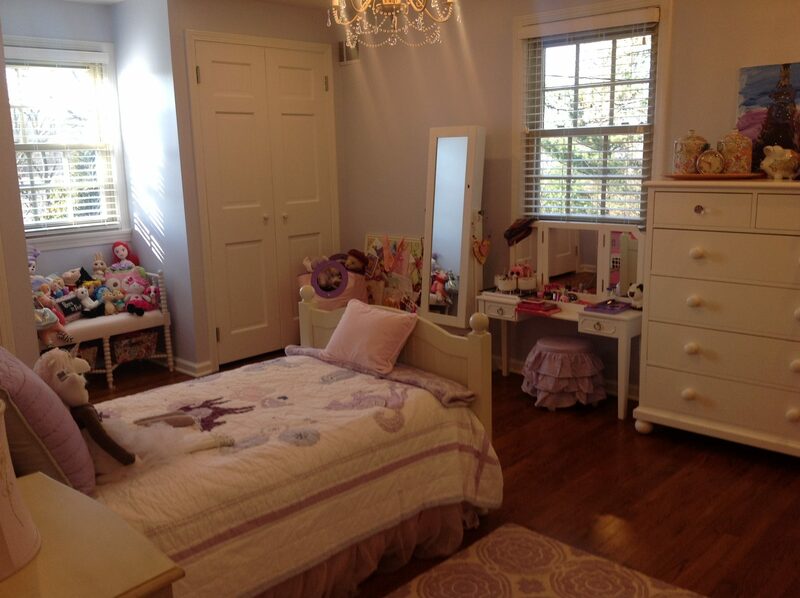 The furniture was rearranged in this little girl’s room for a more efficient layout. 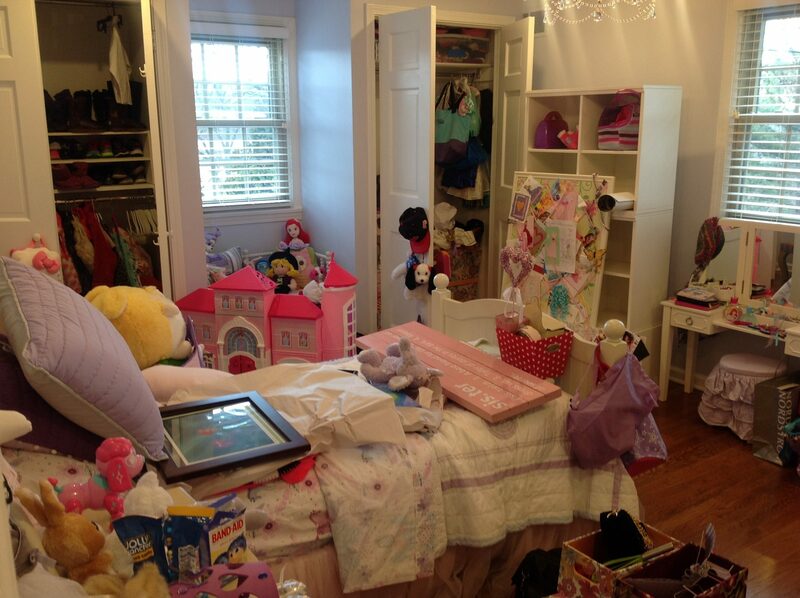 Then all of her clothes, books, and toys were organized in a way that she can find, see and access by herself. 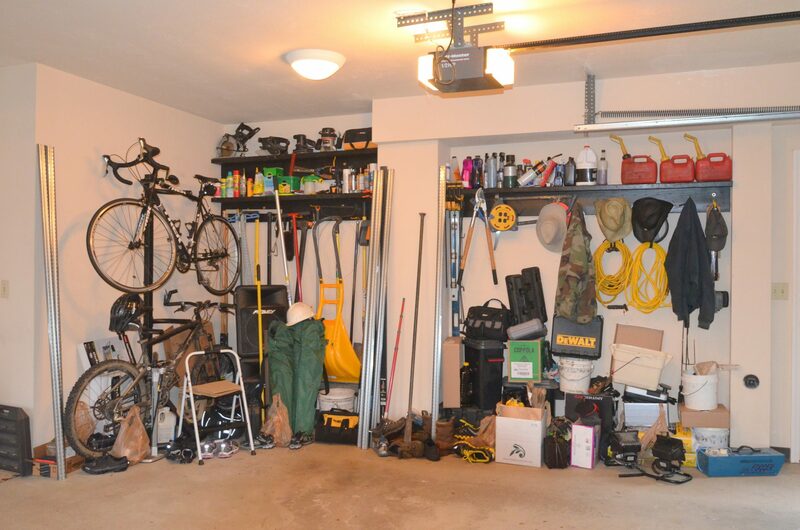 After donating or recycling items that were no longer needed and moving items that didn’t belong in this garage, we designed and planned for a more efficient wall track system to keep as many items off the floor as possible. 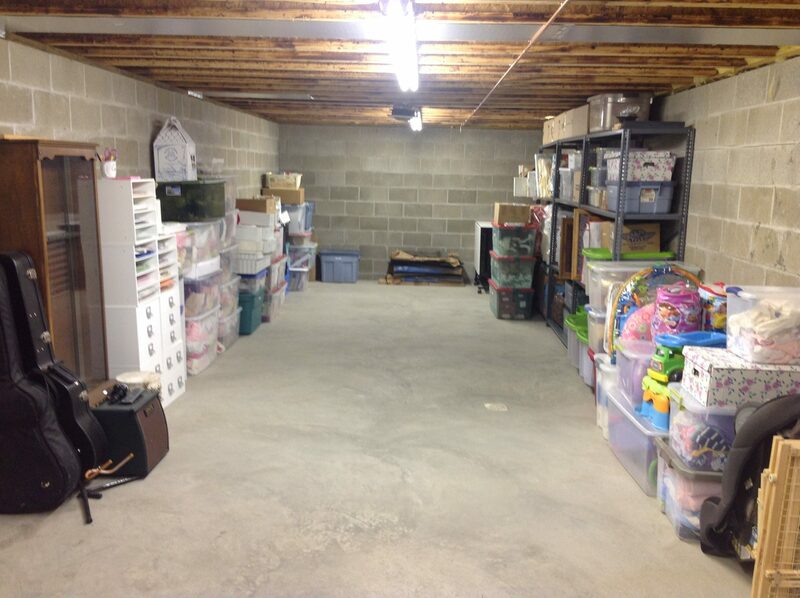 We were able to tackle going through generations of items in this large storage area and sort them so that everything could be seen and accessed easily. 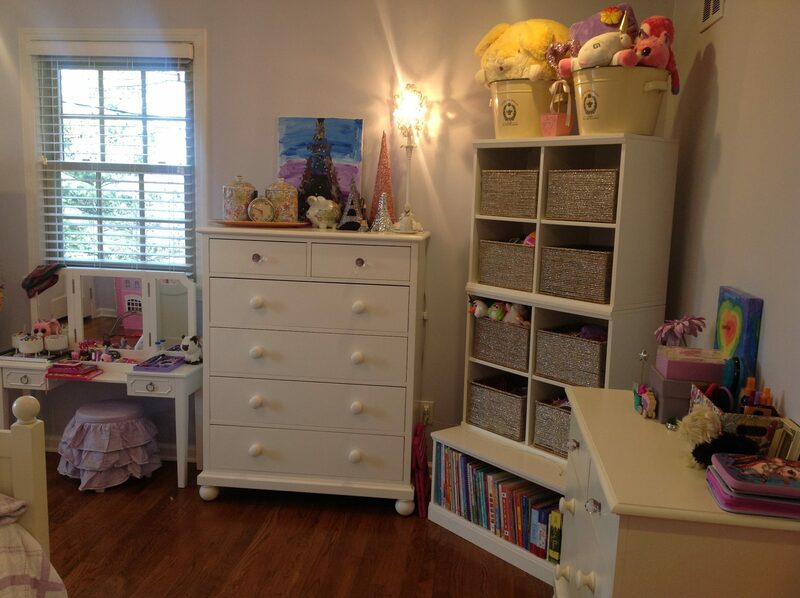 The key to maintaining order and beauty in any household is a simple and maintainable approach to organizing. 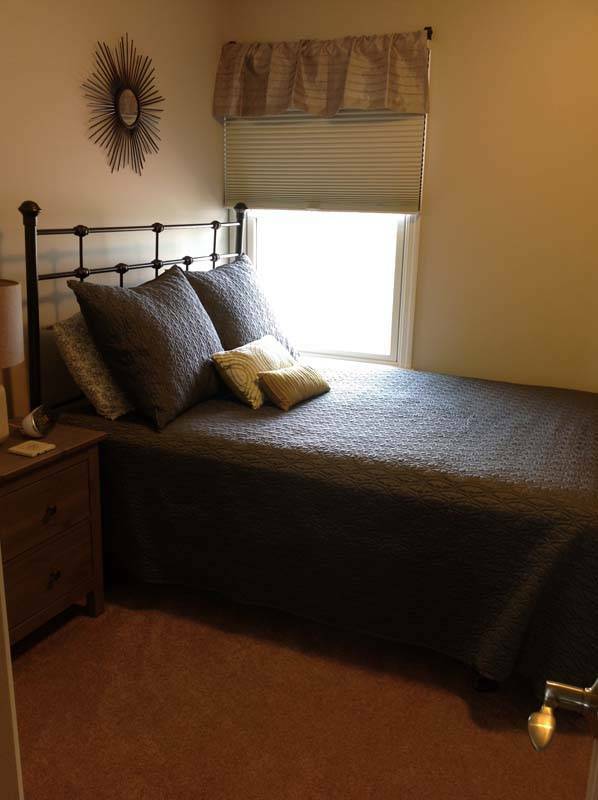 Your home should be viewed as breathing room for a more beautiful, healthier and calmer environment. 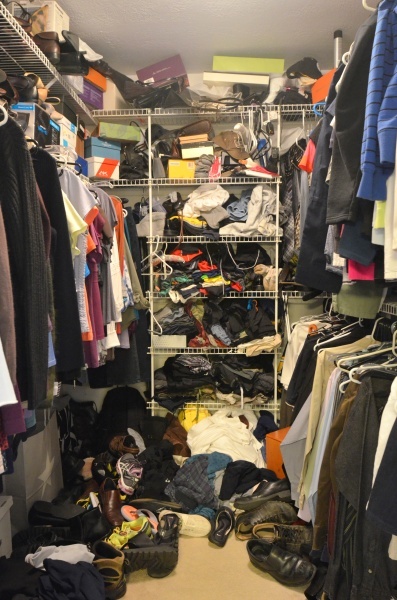 Simply Organized can create such an atmosphere in your life. 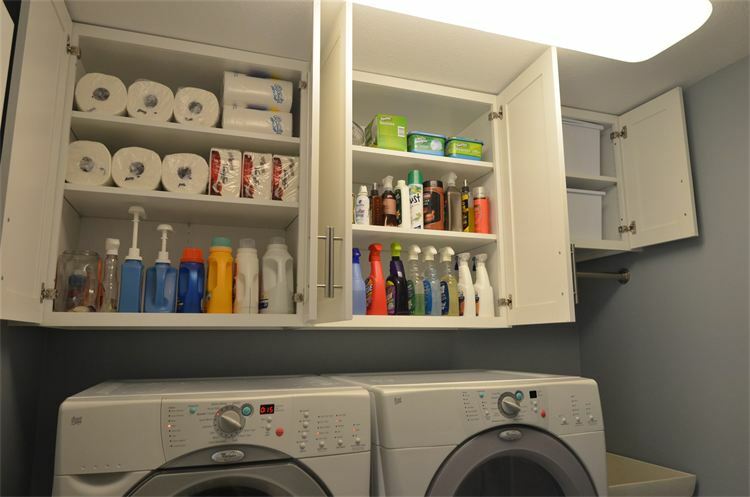 Whether it takes transforming wire shelving into crisp cabinets, or removing superfluous products from countertops, I know how to envision a space for what it’s worth. 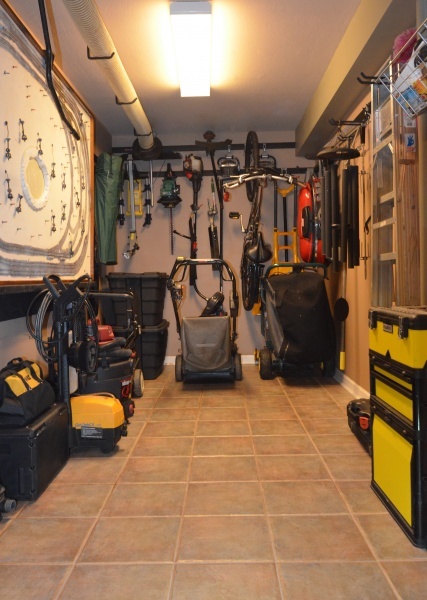 After we discuss your goals, I assess the dimensions, quality and function of the given area. Then, I evaluate the space for its obvious yet often overlooked potential. 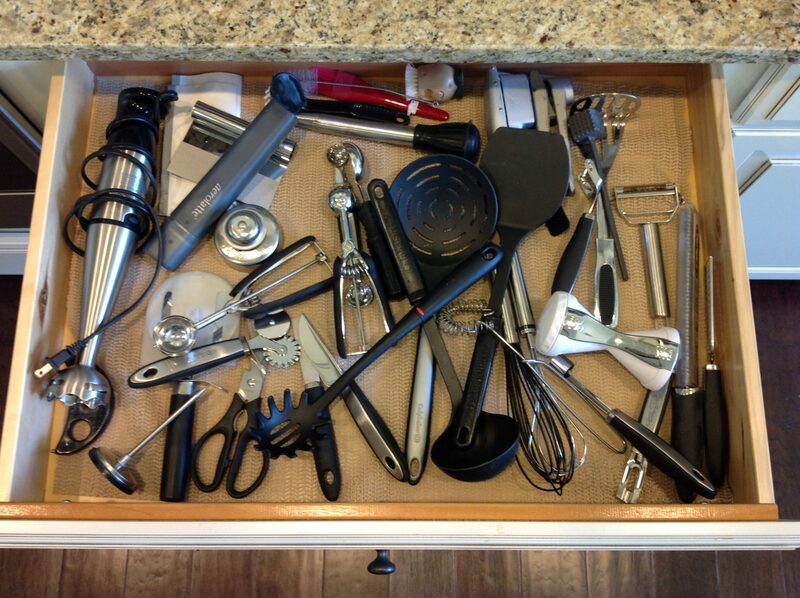 What can it become once Simply Organized is on board? 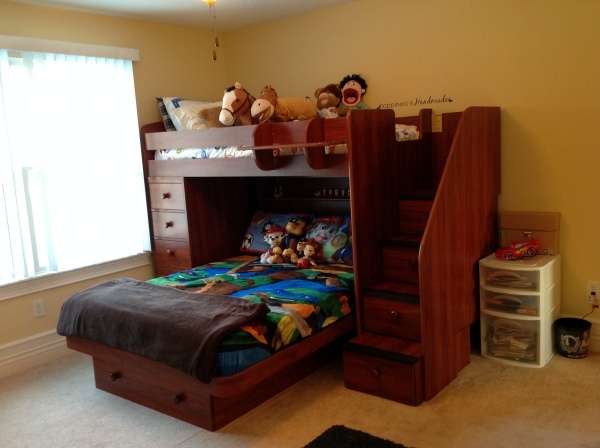 Let us help you create a home that is more functional, enjoyable and beautiful. 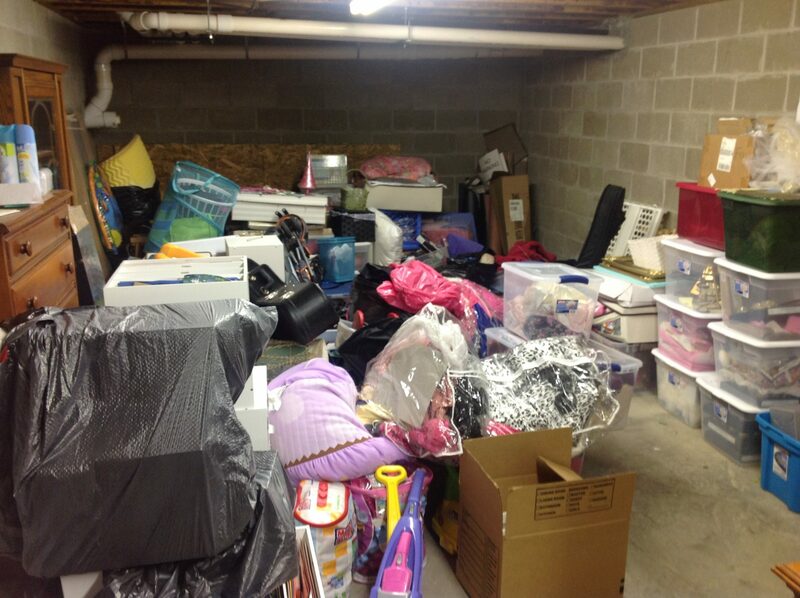 All throughout the Pittsburgh area, I have made Simply Organized into something more than a service. 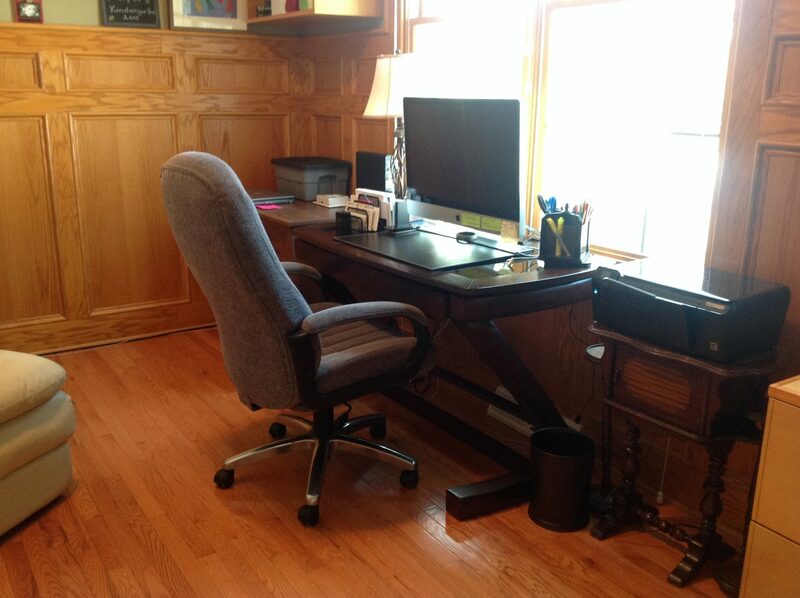 For many of my clients, it’s become a renewed way of living. 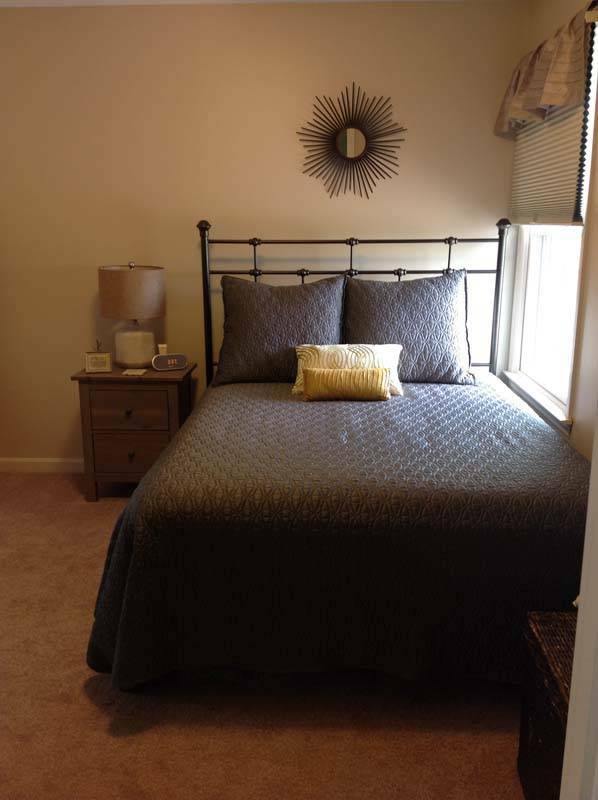 This comes from providing them a fresh and uncluttered space to call home, and rebuilding a relaxed place for everyone to enjoy. For any additional questions, please contact Simply Organized today.